Teresa Garland, MOT, OTRL, graduated with her MOT. She became intrigued with sensory integration and quickly obtained her certification. She avidly pursued theoretical and practical knowledge about the children she treated, trying in particular to understand their difficulty with self-control. As she conducted research and sought to make a contribution to this area of study, she produced a blog, http://otselfregulation.blogspot.com. Soon she was giving workshops on self-regulation for children with autism, ADHD and sensory disorders. 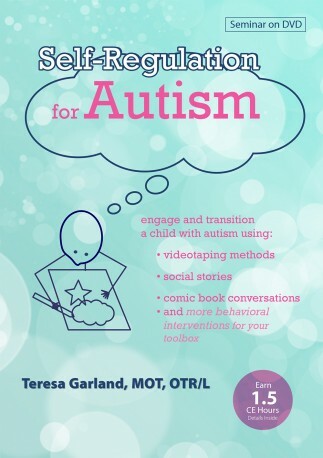 Along the way, Teresa worked with children in clinics and schools in New Mexico, California and Michigan and with children with autism in the office of a Defeat Autism Now (DAN) doctor. 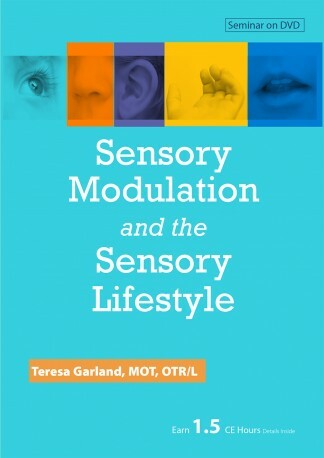 Teresa has a Master’s Degree in Occupational Therapy from the University of New Mexico. She is married and lives in Plymouth, Michigan. 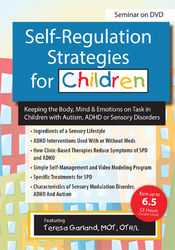 She is author of the book, Self-Regulation Interventions and Strategies (Premier Publishing and Media, 2013).